“I changed my attitude, mommy.” 4 year old Esther’s declaration is an example of self-regulation, or a character quality of controlling one’s impulses, and is considered an executive functioning skill. 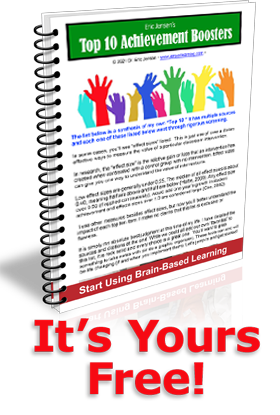 Guiding Principles for Brain-Based Education. Seven initial principles are proposed for discussion and it is hoped that more will be added over time. Brain-based learning means understanding these principles.